Most new tone of voice guidelines only come to life when you write the first piece of collateral. So here’s how you go about it. But can he design a decent homepage? It doesn’t matter if the roof looks like Gaudi leaned down from heaven to create it… if it leaks, the building won’t be winning any awards. Great design is about form and function. And it’s the same with the first expression of a new tone of voice. It’s easy to put too much emphasis on what the copy sounds like and not enough on what it’s actually being written to do. Whatever the tone of voice – brochures need to sell and websites need to inform. 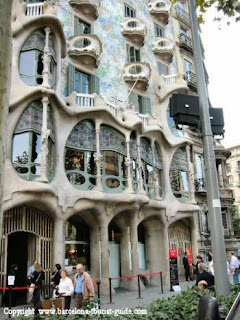 That said; we’d all rather look at a Gaudi than a bog-standard office block. Am I right? This is the holy grail of brand writing: how can I give the brand a distinctive tone that will mean the audience gets a brand experience whenever they read the language? If TOV guidelines have been written, there should be something in them that aims to make the brand’s writing sound unique. If there isn’t, we’ll look at the brand attributes and see if something in there which offers inspiration. After all, that’s what we do when we create tone of voices for brands ourselves. We look for practical, easy-to-follow, linguistic choices. This helps deliver consistency throughout the first expression piece. It will also help other writers achieve the tone for the brand in the future. And that will help build the brand. An example, you say? 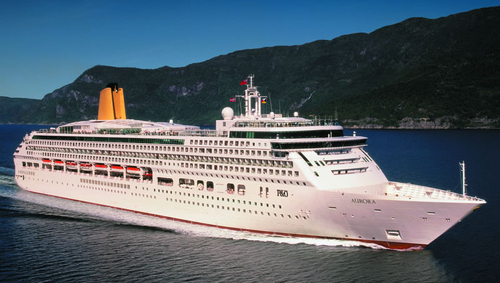 Well, we had a client, P&O Cruises, who wanted to sound authoritative but approachable. Their competitors emphasised entertainment. 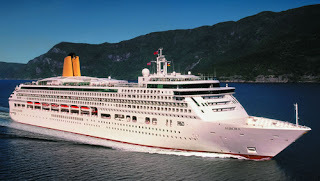 P&O Cruises delivered something different: an authentic cruise experience as befits the world’s most established cruise-line. To capture this in language we decided to forgo contractions.‘Haven’t’, ‘Can’t, ‘We’ll and ‘You’ll’ were all out. ‘Have not’, ‘cannot’, ‘We will’ and ‘You will’ climbed on-board. But always remember that laboured Gaudi analogy: function is vital. Therefore, we dropped the blanket ban on contractions for direct mail letters – where sounding personal is the best way to sell. Most brand TOV guidelines encourage contractions. They do this because they want to sound warm and informal. But forgoing them lent P&O Cruises’ writing that hint of heritage and authority the brand needed. Another brand will have a different positioning and essence. So,it will need another practical language habit. Once you find it, you make life much easier for subsequent writers for the brand. As they are often not professional copywriters but in-house staff, that’s an important achievement.